Home | Forensic Science, M.S. 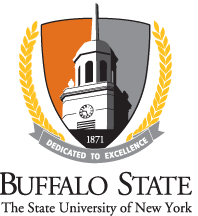 Buffalo State’s graduate program, the master of science in forensic science, is designed to provide advanced education in the science and laboratory methods utilized in a modern forensic laboratory. In addition, the program unites current theory and practices in forensic science with advanced laboratory training and an exploration of issues in the related disciplines of law enforcement and ethics. The 30-credit-hour program has been designed to be completed in two years. The curriculum for the program is structured around a core of advanced forensic science lecture and laboratory courses supplemented by electives in specialized sub-disciplines. The program will include a seminar component and will culminate in a master’s thesis based upon original scholarship carried out by the student. A detailed description of the program requirements and a list of faculty and professionals who are experts in various areas of forensic sciences can be found in our website. For more information, please see a list of frequently asked questions or contact Professor Jamie Kim, Graduate Coordinator (kimj@buffalostate.edu).